Since I was not able to get a photo with Peter Capaldi when I worked on Doctor Who last year, I have instead drawn this picture of what a potential photoshoot with Peter, me and Derek may have looked like. I have now managed to find some screencaps of Derek’s appearance in “The Magician’s Apprentice”. And here he is in “The Witch’s Familiar”. 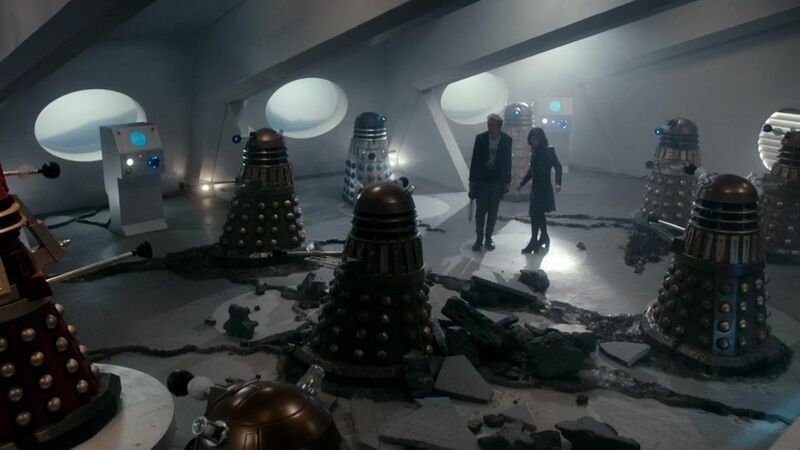 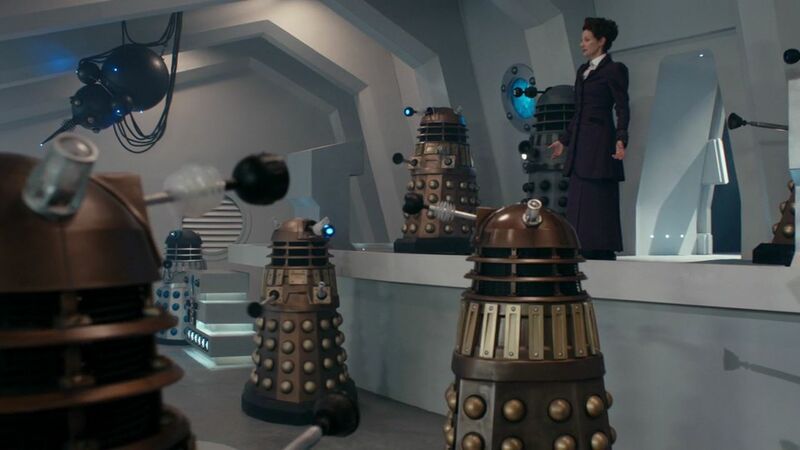 Plus, here are some shots from the end of “The Witch’s Familiar” in which I played the bronze Dalek behind the Doctor and Clara (from which I was able to take my sneaky onset photos). 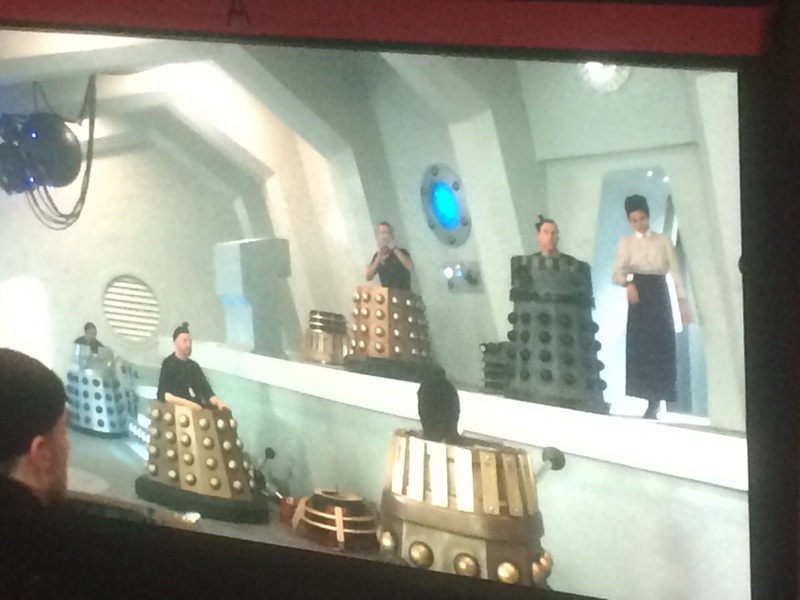 A Dalek’s eye view of the above scene. Finally, here are some screencaps from the Doctor Who Extra episode interviewing Nicholas Briggs, the voice of the Daleks. 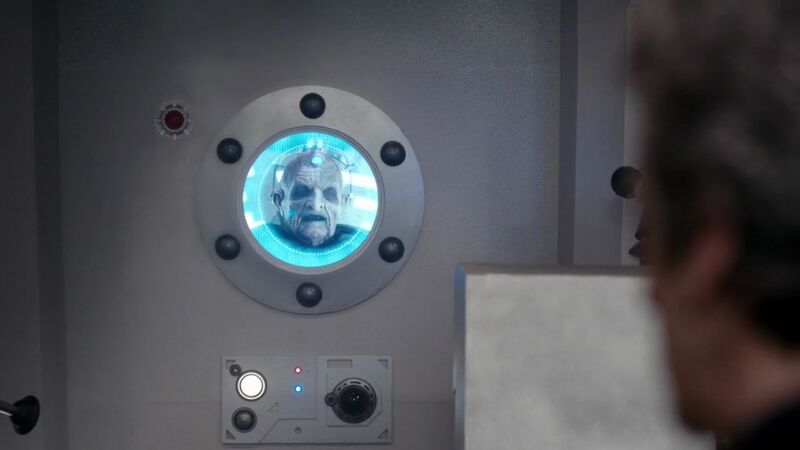 If you look closely on the monitor in front of Nicholas here, you can see a rehearsal shot from the episode; thusly, Derek has his top removed and you can see my face (though it is something of a blur)! This shot here was from my third day of filming, where I was in the bronze Dalek up on the stage (though he wasn't actually in shot in the final episode). On Thursday 12 November 2015, issue #493 of Doctor Who Magazine was released, and it featured a photo of Derek and me on page 13. 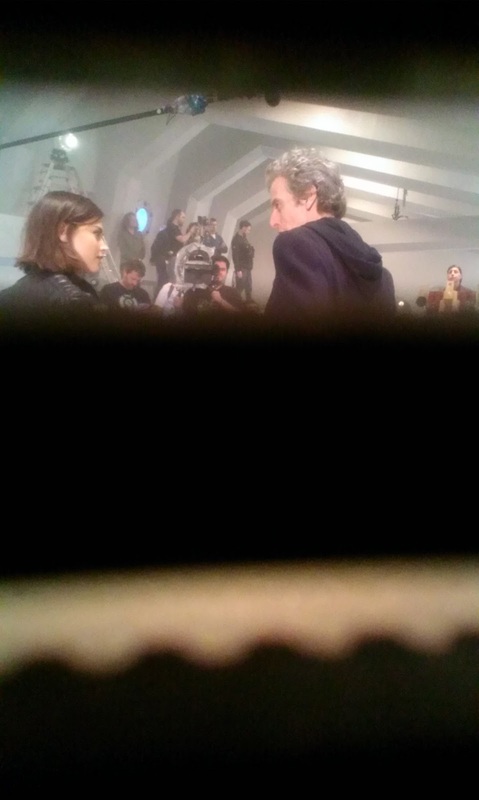 It was a nice little cherry to round off what had been a fantastic year. And I have been added to the cast lists for “The Magician’s Apprentice” and “The Witch’s Familiar”. 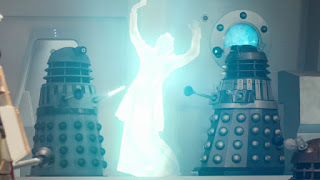 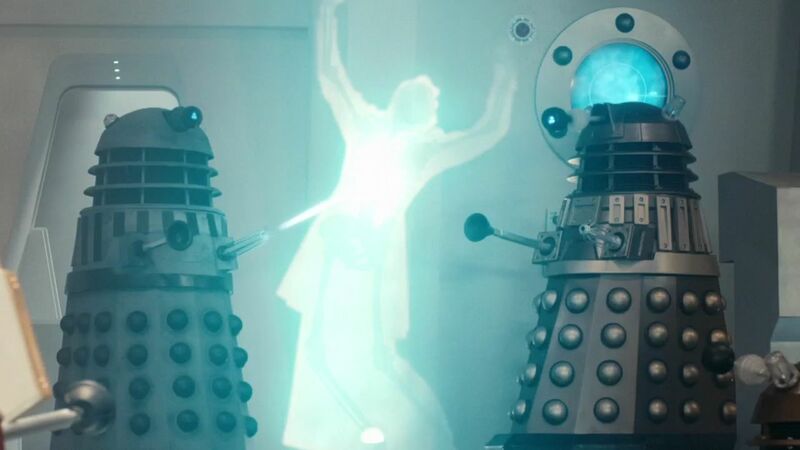 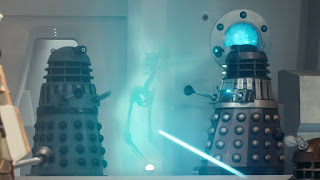 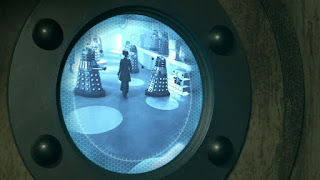 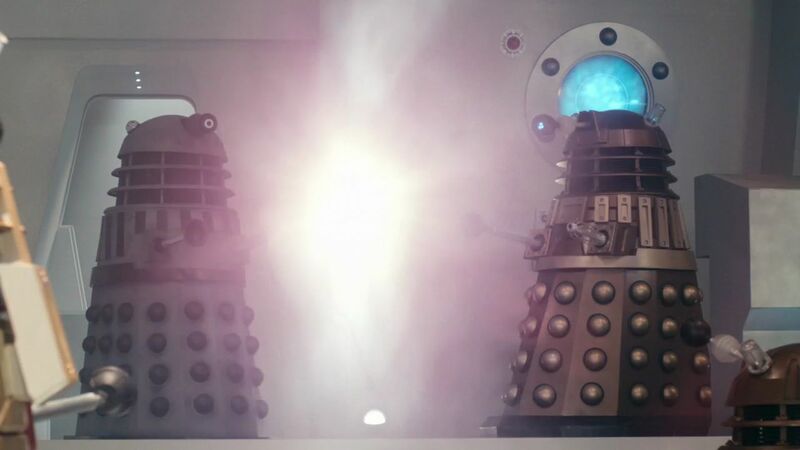 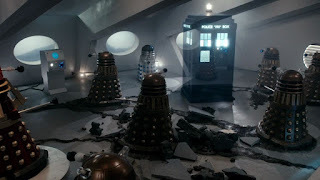 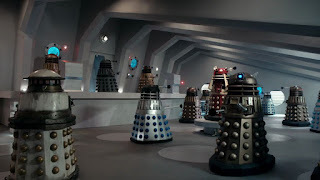 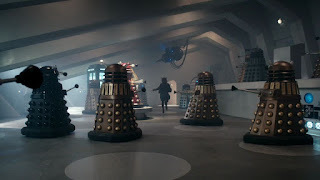 On a side note, I also had an article published on the Doctor Who TV website, suggesting a possible theory about why we no longer see the divisive Paradigm Daleks. 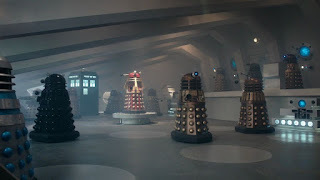 Saturday 24 October 2015 I went to the Doctor Who Experience in Cardiff Bay as they were having a special Dalek Day. 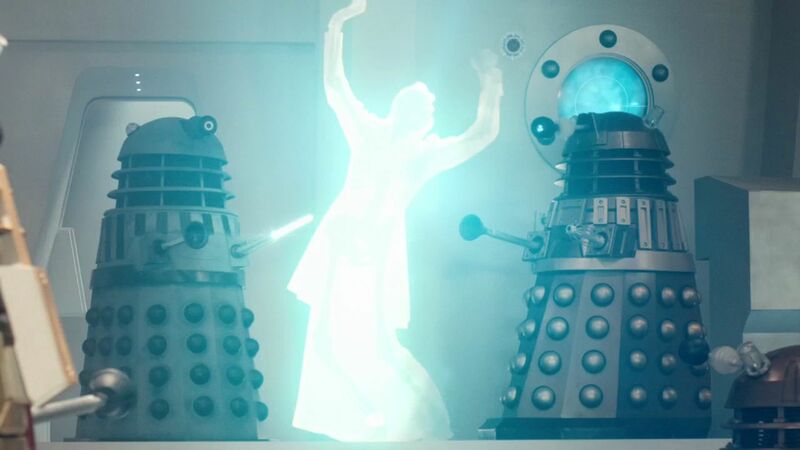 I had a fantastic time. 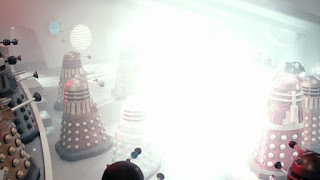 One highlight was when the Experience actually tweeted to welcome me. Another highlight was the talk by Dalek Operators Barnaby Edwards and Jon Davey (who I had worked with on "The Magician's Apprentice" and "The Witch's Familiar"). 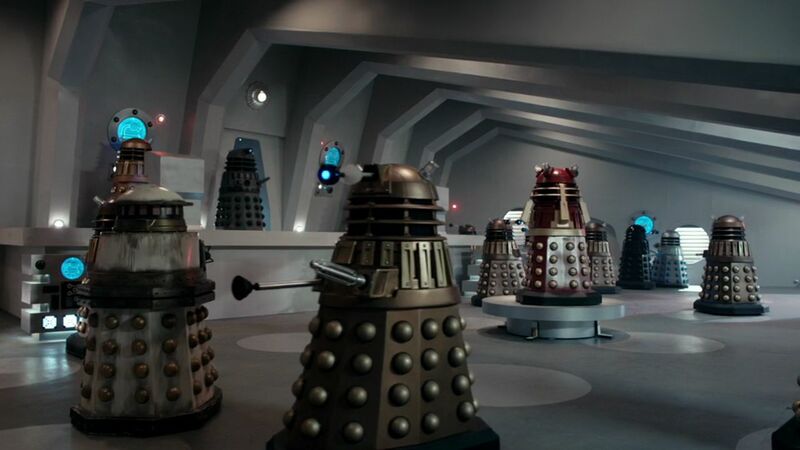 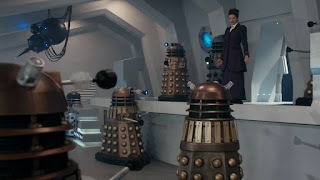 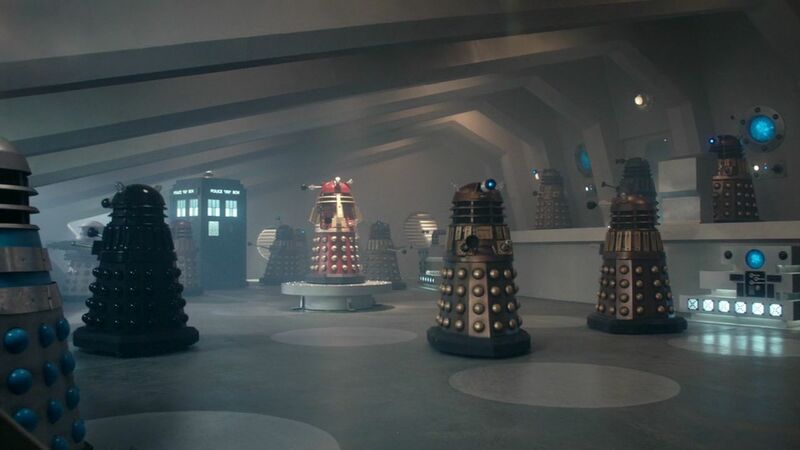 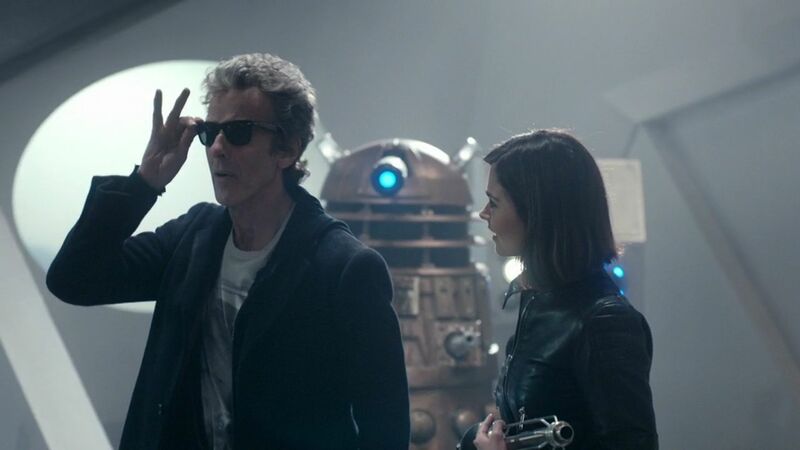 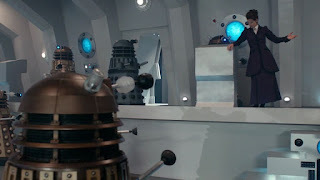 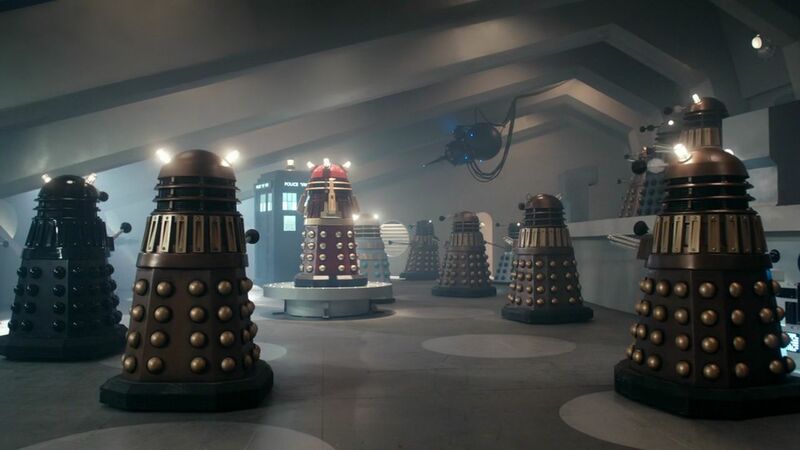 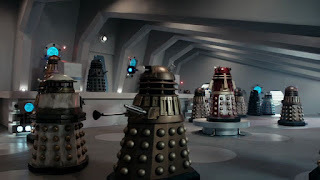 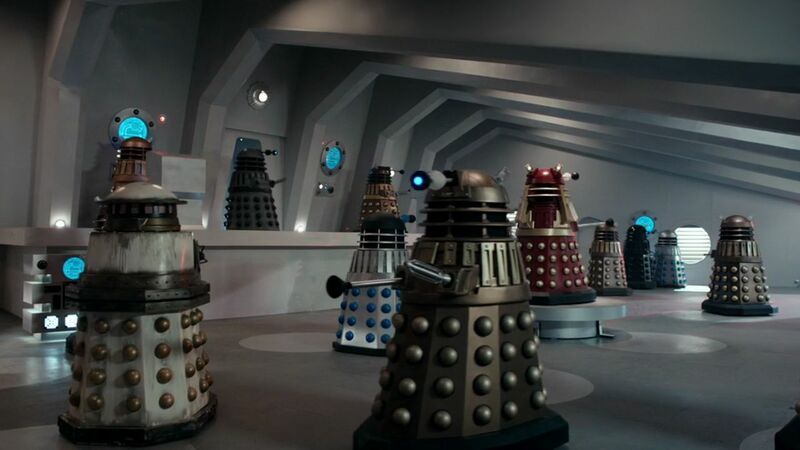 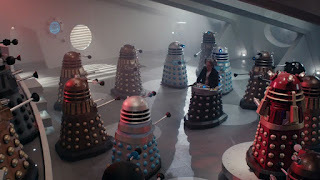 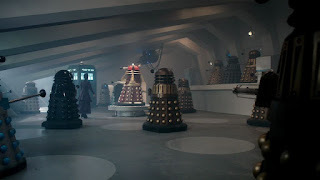 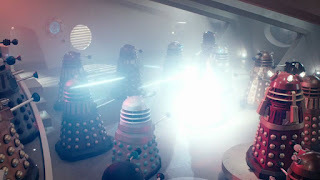 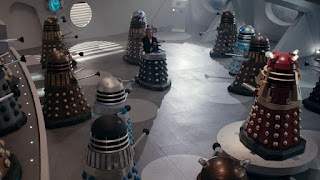 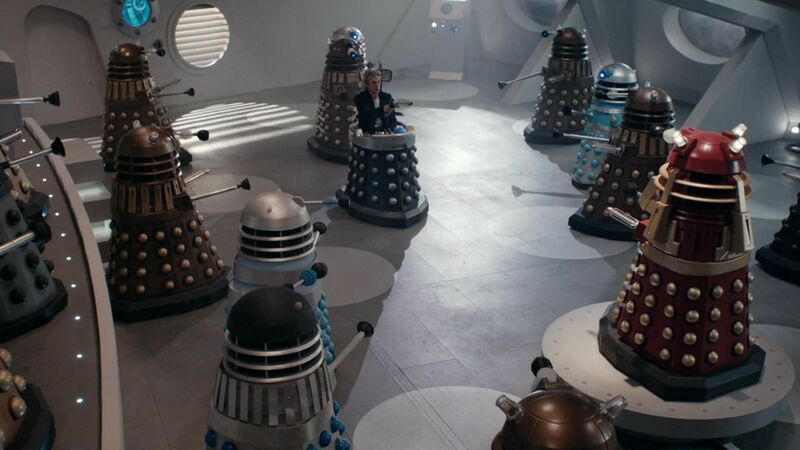 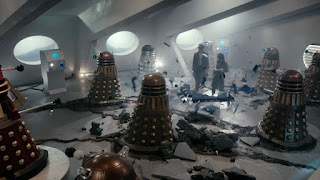 They gave the audience a fascinating insight into what it's like to operate a Dalek on set, paying particular attention to the episodes "Doomsday" and "Victory of the Daleks". 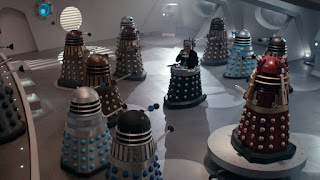 Barnaby told a particularly amusing anecdote about causing a five-Dalek-pile-up whilst shooting "Victory". 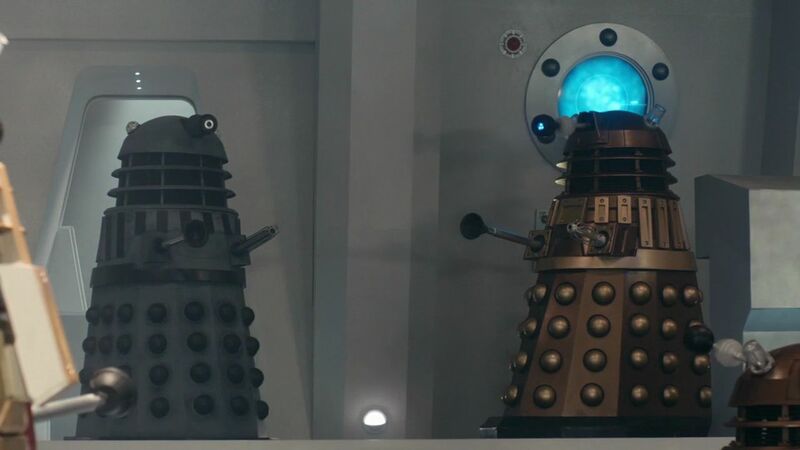 During their talk, to my surprise and delight, they actually introduced me to the audience and asked me to briefly recount my amazing experiences playing a Dalek in the show, which was very magnanimous of them, and a pleasure for me. The occasion also afforded me an opportunity to do something I was not officially allowed to do on set - take photos!! My one regret from the show was not getting pics with any of the cast and crew, but at Dalek Day I made up for it. 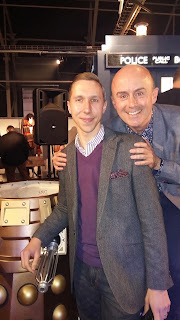 Here I am with Barnaby Edwards. 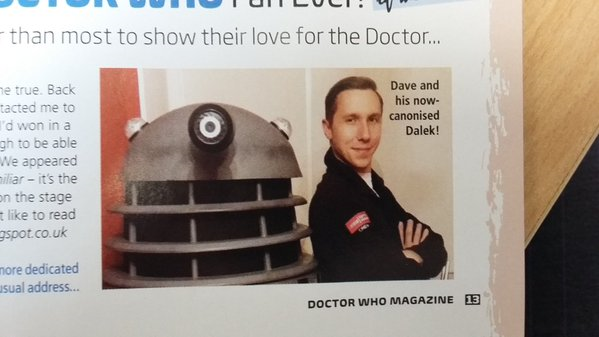 And here with Jon Davey. Thank you both for a fantastic day. 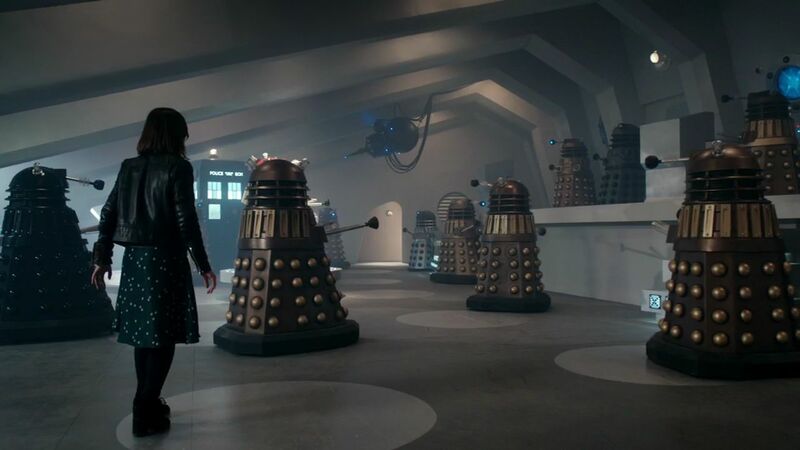 Now I just need to track down Nicholas Pegg, Nicholas Briggs, Peter Capaldi, Jenna Coleman and Michell Gomez and get photos with them too! 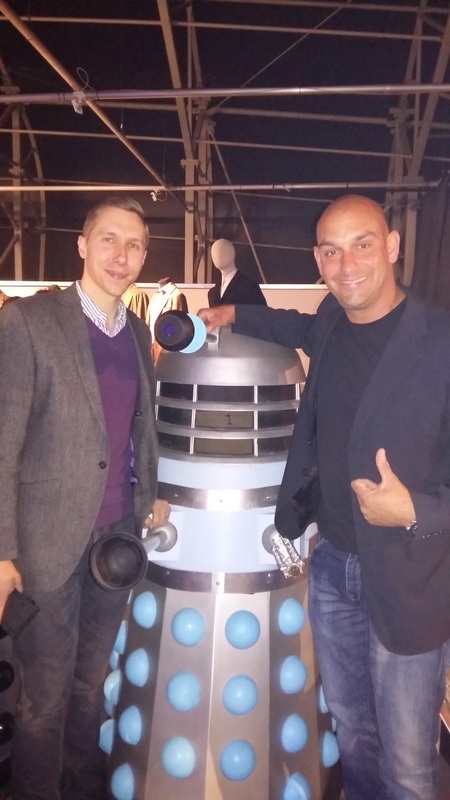 I own a Dalek. 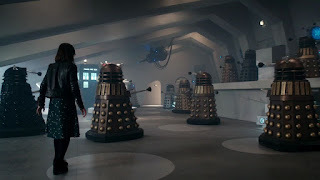 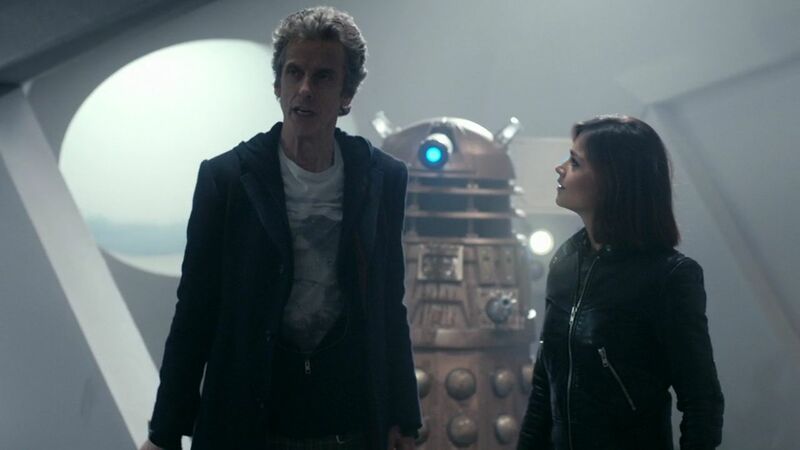 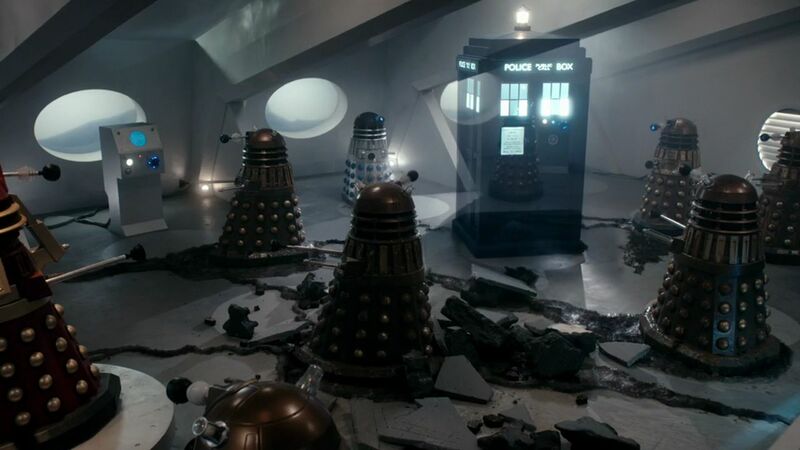 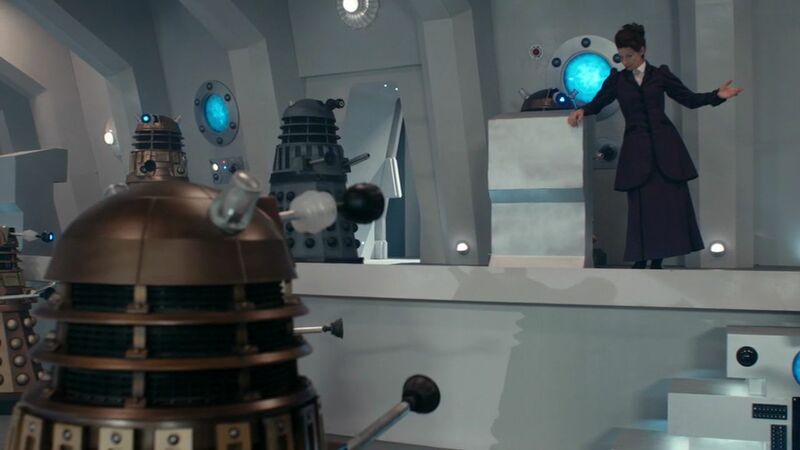 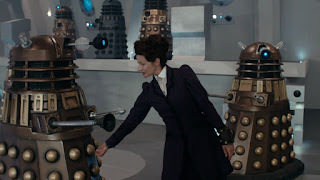 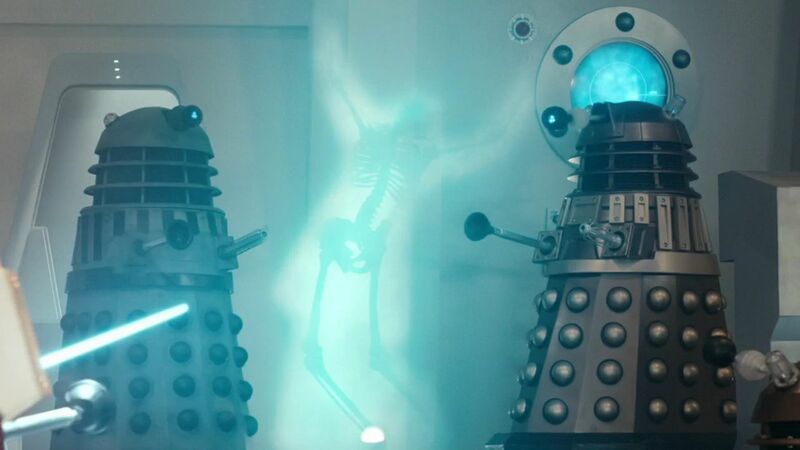 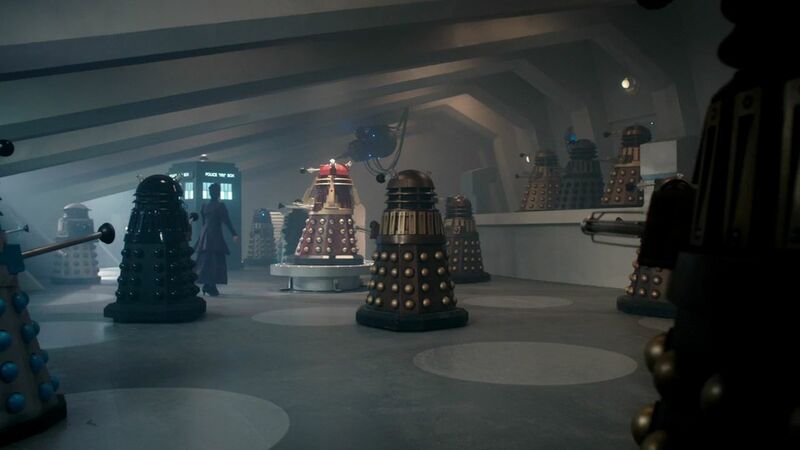 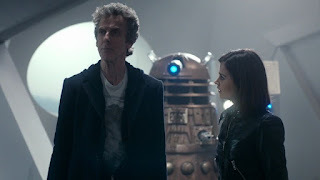 In 2015 my Dalek and I appeared in Series 9 of Doctor Who. 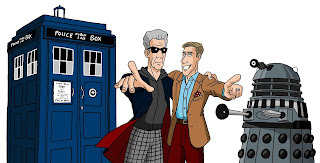 This blog chronicles that adventure. 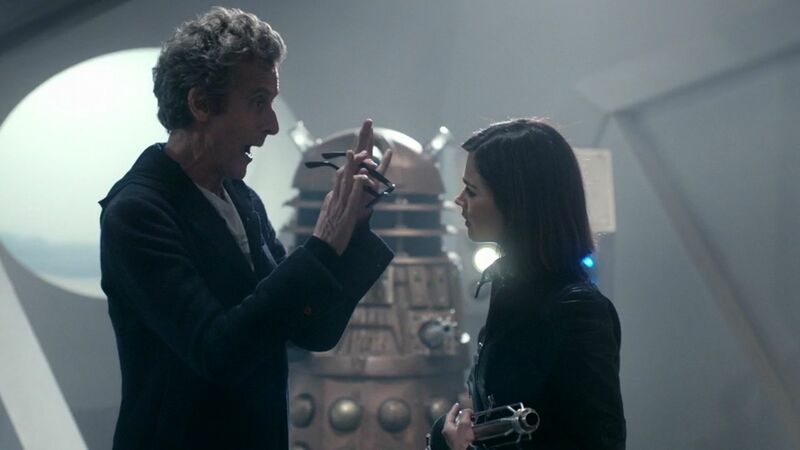 "To know me is to love me."